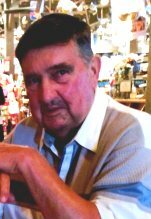 Mr. Wilbur Weaver age 76, of Orlando, Ky. passed away Sunday, January 20, 2019 at the Rockcastle Regional Hospital. He was born on September 23, 1942 in Rockcastle County the son of the late Cora Clark Miller. He was retired from the Pepsi Cola Company, enjoyed gardening, animals, mowing, being in the outdoors, and was a member of the McNew Chapel Baptist Church. Survivors are: one son; Rodney Weaver of Orlando. One daughter; Sandra Falin and (Eddie) of Pikeville, TN. One cousin who was like a sister; Oneida Robinson. One grandchild; Hank Falin and (Jennifer), and one great grandchild; Elijah Falin also survive. Besides his mother he was also preceded in death by: his wife; Darlene Weaver, and by one brother; Wayne Clark. Funeral services for Mr. Wilbur Weaver will be conducted 1 PM Thursday January 24, 2019 at the Cox Funeral Home with Bro. Jerry Ballinger officiating. Burial will follow in the Maple Grove Cemetery. Arrangements are by the Cox Funeral Home friends may visit from 6 to 9 PM on Wednesday.